Screening camps are held in remote areas of the state of Andhra Pradesh to educate people about cleft and craniofacial defects. Patients born with or suffering from these defects are identified and informed about the stages of their rehabilitation. 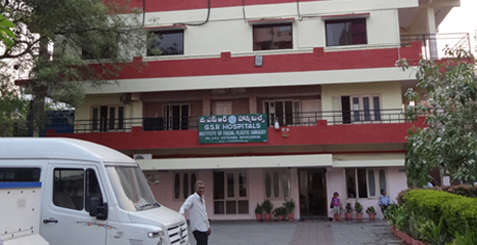 A special bus run by the Institute is used to transport the children and their parents to the Institute because most patients are so poor that they cannot afford to travel to Hyderabad for treatment. Our Team of Surgeons, Doctors, Counselors, Pediatrician, Speech Pathologists and Orthodontist counsel patients and parents on all related topics like their present condition, number of operations required, speech therapy, feeding procedures and orthodontic therapy. In our review it was found that at least 16 hours of counseling is given to each patient during the course of his or her treatment. All preoperative investigations, photographs, radiographs, jaw impressions and dental and medical work up done before taking them up for surgery is done. 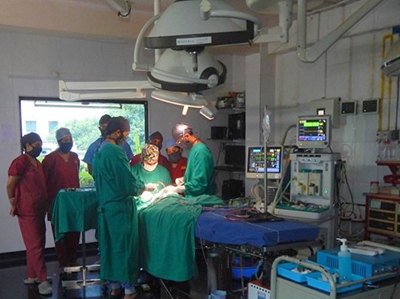 Surgery is performed and the patient is kept in the post operative ICU for 24 hours. Sutures are removed if necessary on the 5th Post operative day and the patient is discharged. Planning for the next surgery, orthodontics and speech therapy is done as we review the patients.